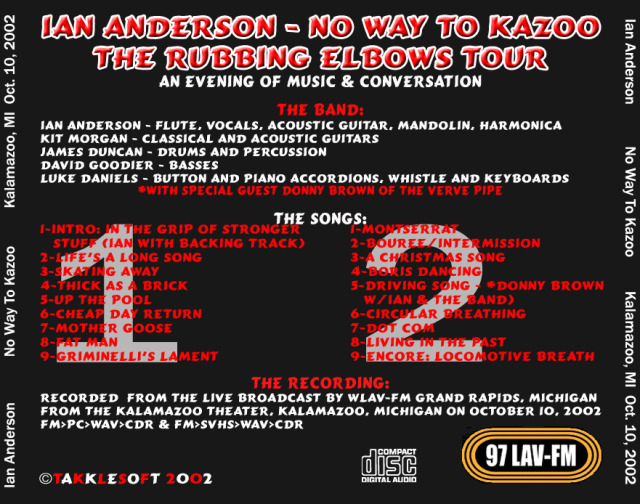 Rubbing Elbows tour ... at the end of the show Kazoo's were passed out to varies attendees to "play along" with Locomotive Breath. My question is, were the kazoos labeled "Jethro Tull" or anything? If so, I am going to hunt one down for my collection or were they just generic non-labeled kazoos? I seem to remember quite generic. plastic kazoos....the kind you but ten for a buck for birthday party grab bags. The popped balloons were great keepsakes and Doane was pretty good about tossing drum sticks but I'm afraid Ian didn't invest in heirloom kazoos. They were yellow and green, in case someone tries to sell you one ! at the end of the show Kazoo's were passed out to varies attendees to "play along"
with Locomotive Breath. 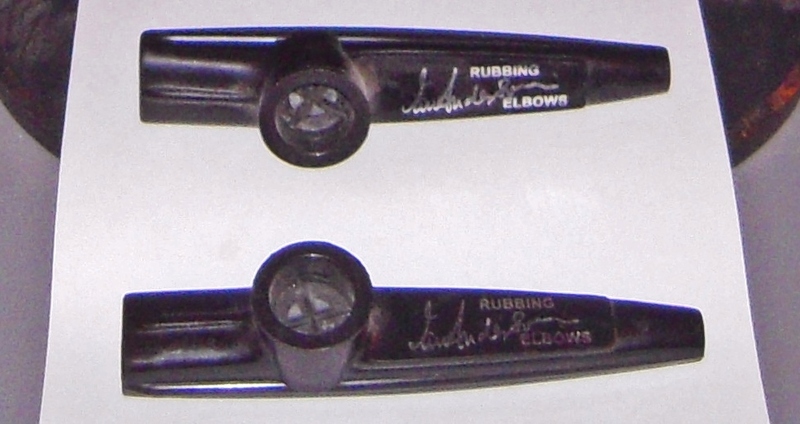 My question is, were the kazoos labeled "Jethro Tull" or anything? If so, I am going to hunt one down for my collection or were they just generic non-labeled kazoos? Thank you! The hunt is on for one.